I’m a local boy, and grew up in Crofton, Maryland. My middle brother was also a drummer, who played in a few successful local punk bands. I began playing drums by sneaking down into the basement, and playing on his kit while no one was home. After a few years of that, I joined my first band, and never really looked back. Ray, our singer, was playing a lot of solo shows in the area. Jenn, our fiddle player, was at one of his solo gigs, and Ray invited her up to play. Eventually, they added a few more musicians and became a full band. They previously played under the names “The Wild Rovers” and “The Rovers”, before settling on “Dublin 5”. They had several drummers before I came into the band, which was over 6 years ago. My favorite tune of ours is “Ramblin’ Rover”. It’s the only song that I know of that makes a reference to Colitis. I’ve had stomach issues for most of my adult life, so the whole band gets a laugh out of it every time that line comes up. You can hear Ray laugh a little on our live album during that part. Q: You’ve been able to perform all the country. What has that been like? It’s been amazing. Music takes you to so many places that you never thought you’d end up, and you encounter some of the most amazing people that you’ll meet. I’m very lucky in that some of my best friends are also some of my favorite musicians. Q: What is it like being a part of the Annapolis music scene? We are so incredibly lucky to have the local music scene that we have. I’ve toured all over the world, and have never come across a scene quite like ours. Not only are we blessed with an incredible amount of amazing acts, but there is a great camaraderie among all of the local acts. Whenever the local musicians have a night off, you can usually find them supporting other local musicians. There are also so many people in the area that make it a point to seek out live music every night of the week. Q: What are your thoughts on the senseless tragedy at the Capital Gazette? Heartbreaking. It’s heartbreaking to see something like this happen anywhere in the world. I never thought I would see something like this happen in my own town. The Capital has always been a huge part of the local arts community, and there is a tremendous amount of respect for all of the writers and staff. 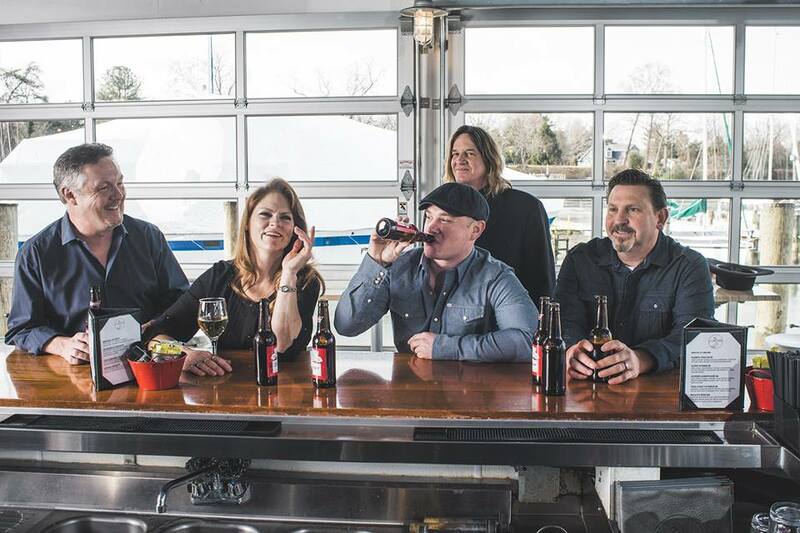 Q: What can you tell us about the Annapolis Rising benefit concert this weekend? The festival came together very quickly, so a lot of the details are still coming together. It was impressive to see the way that everyone pulled together to make this happen though. It was also especially generous for the larger acts to donate their time to the cause. I’m hoping that we can do a lot of good for the victims and first responders. 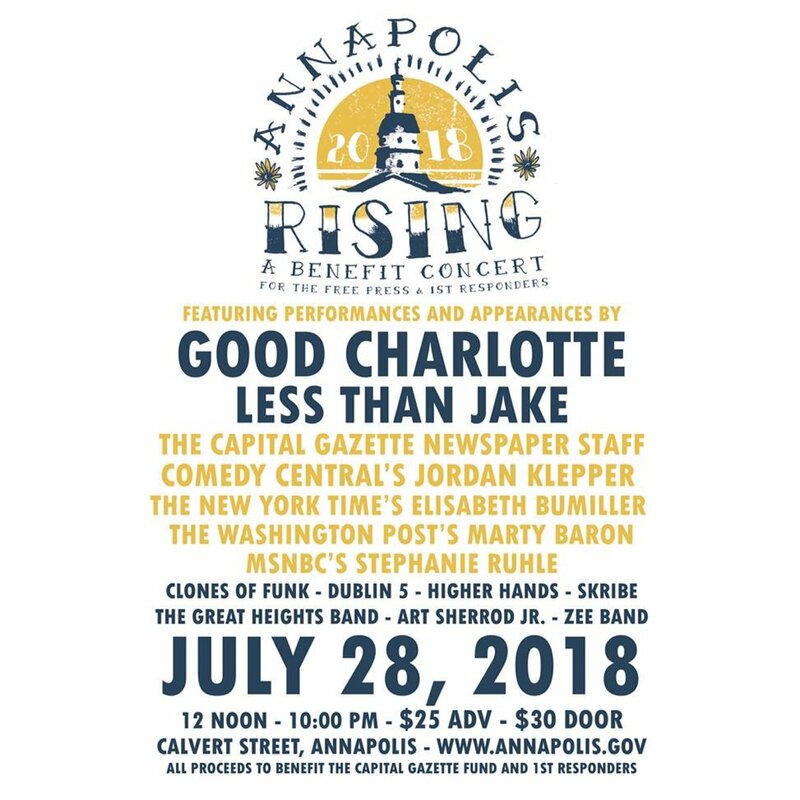 Dublin 5 will perform Saturday at Annapolis Rising: A Benefit For The Free Press and First Responders.